Pay-2-Win is a series where we take a look at the coolest, rarest and most expensive gaming memorabilia on the market. Scrubs need not apply. 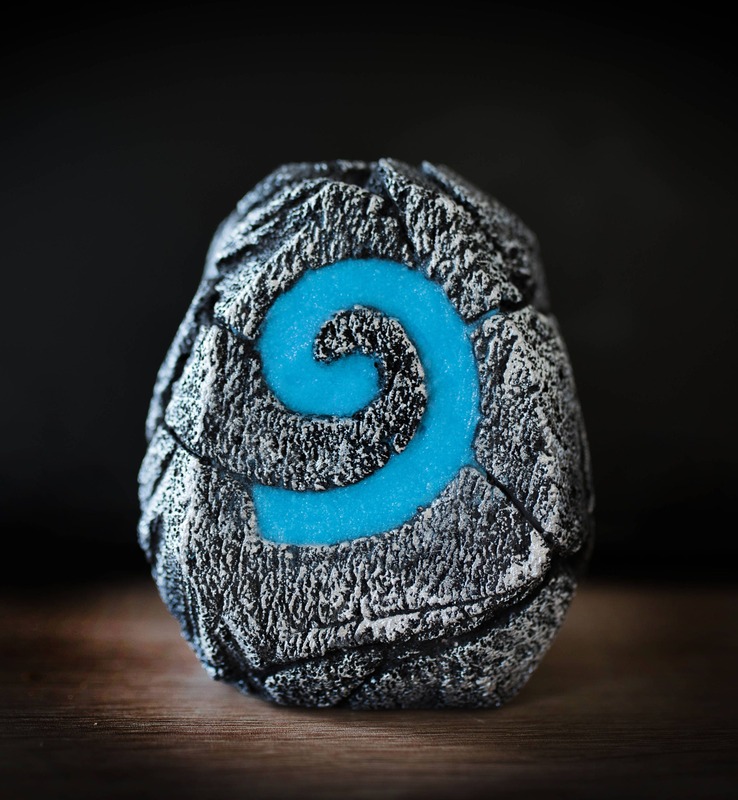 What better way to celebrate today's release of Hearthstone's newest expansion, Knights of the Frozen Throne, than taking a seat by the hearth in your very own Hearthstone inn, complete with a physical set of cards? For this week's Pay-2-Win, we're highlighting some creators on Etsy who've made everything you need to live Hearthstone IRL, dependent on your state's liquor license laws. 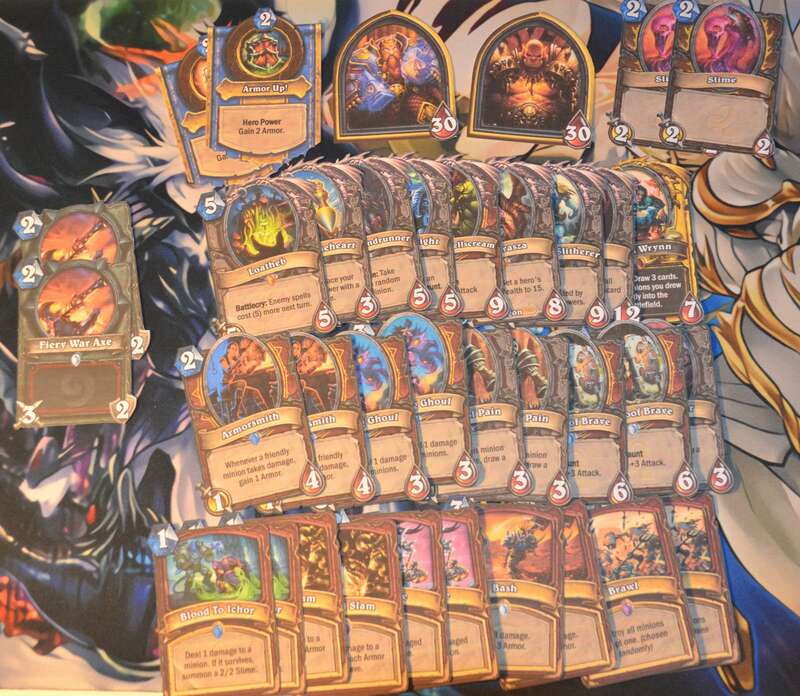 The most important component for making your own Hearthstone Inn is, of course, the cards. KraftyKindredDesigns on Etsy will make you a custom deck of 30 cards with one golden version and a Hero Portrait at a base price of $50. 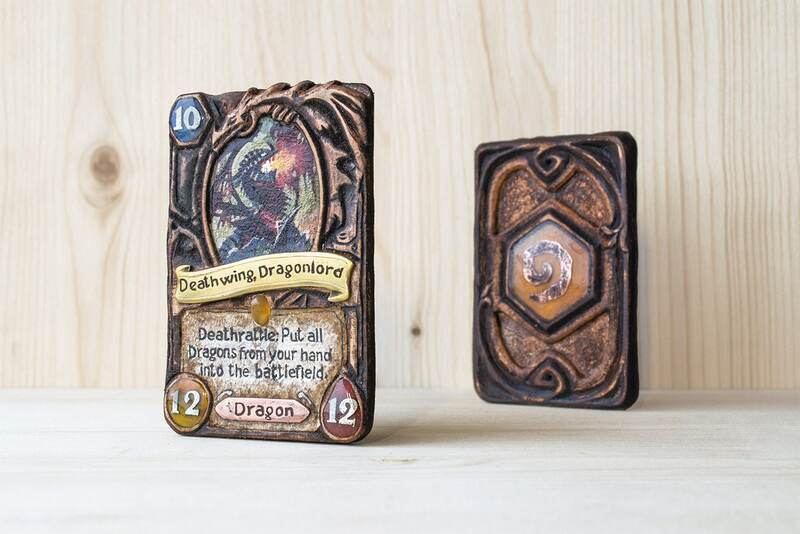 If you want a set of cards that you can display on your mantle when they aren't in use, you can check out GoldfishGuild's leather-crafted Hearthstone cards. However, they're considerably more expensive, ranging in price from $50 - $130. Though hard to find these days, in 2014 Chinese retailer Taobao released a physical version of the Classic card set for about $50. If you can manage to find a set on Ebay or Kijiji, it'll likely set back far further and the card text will also be in Chinese. However, the Tabao set also comes with tokens to show if your card was given Taunt or Silenced as well as a wheel that lets you show its altered stats if it gained or lost attack and health. Once you get your cards, you'll need a suitably prestigious device to hold them in. 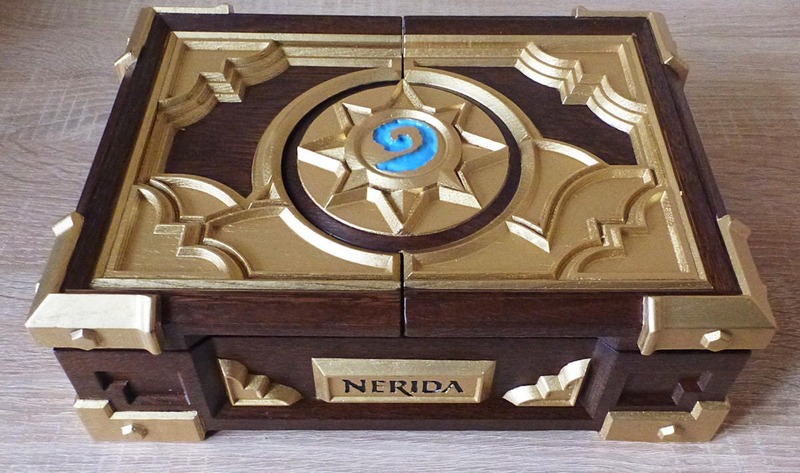 To store them the way that they were meant to be stored, you can check out HearthstoneBoxReplic Etsy shop for gorgeous replica Hearthstone boxes. The base model goes for $245 and you can get a custom version for $435 and a deluxe, solid oak edition for the low, low price of $935. Sure, your home probably doesn't have an actual hearth/fireplace because there's a good chance that you're a millennial with several dozen roommates, but your inn will need a light source. In which case, you can check out this gorgeous, intricately carved Hearthstone-shaped lamp from GameWorldNow starting at $43.87. Unfortunately, it doesn't have a recall option for when you're too lazy to ride your dragon back to town. No inn is complete without hearty tankards with which to down many an ale or salty grog. Or more likely Pabst Blue Ribbon or Coors Light in this case. 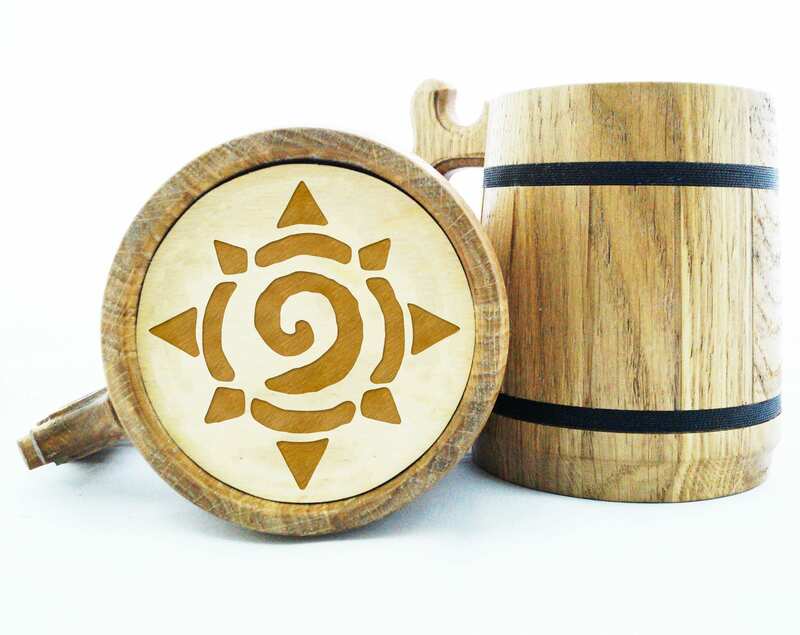 To find a worthy flagon with which to slake your thirst after a long night of cards, check out this finely crafted mug from WoodwithMood with the Hearthstone sigil engraved at the base.